Ménage à trois is a French term used to describe a situation where three people are involved in a relationship and live together. 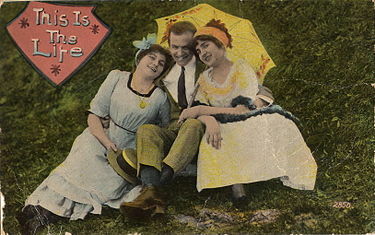 Each of the three has a sexual relationship to the two others. This page was last changed on 14 October 2014, at 16:22.